Are you a 6 PPC shooter who relies on Vihtavuori N133? Or maybe you’re a .45 ACP Bullseye shooter who uses N310 or N320. 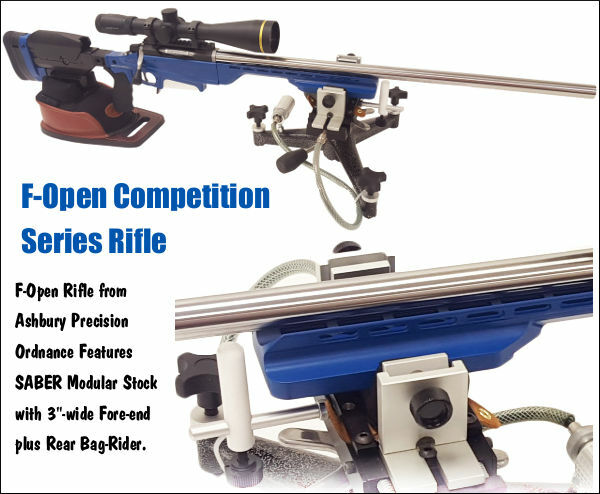 Or perhaps you favor N150 in your 6mmBR or .308 Winchester. If you are a Vihtavuori powder user (or are considering trying these fine Finnish powders), then check out Vihtavuori’s new FREE mobile App. 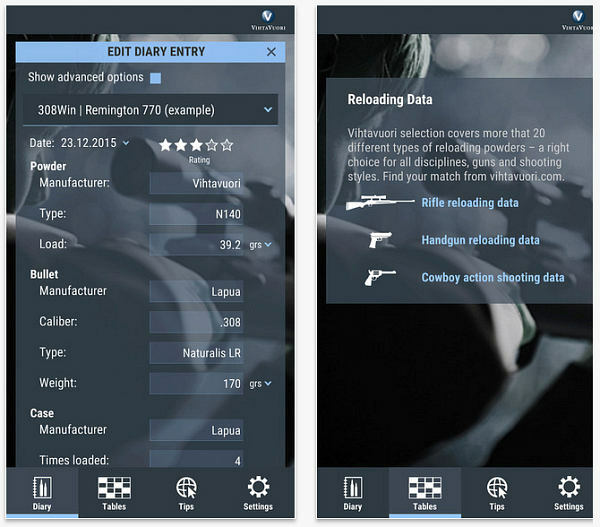 The new Vihtavuori Reload App lets you keep track of your favorite reloading recipes, and manage load development. 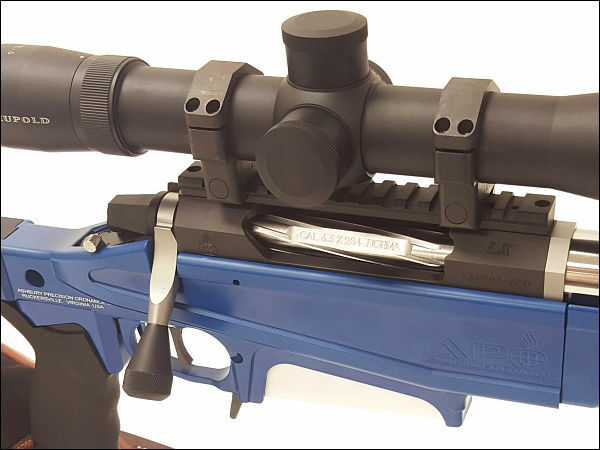 You can log load recipes for as many firearms and cartridge types as you want. 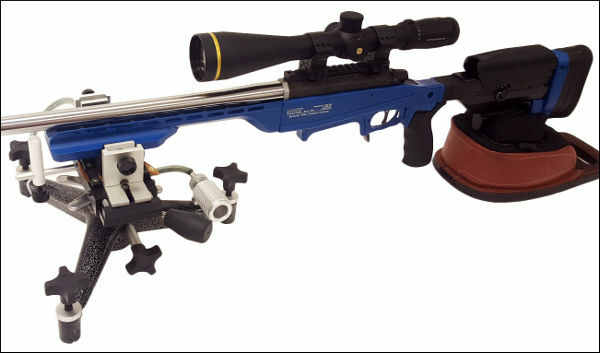 The App holds all relevant data — cartridge class, bullet, loads specs. 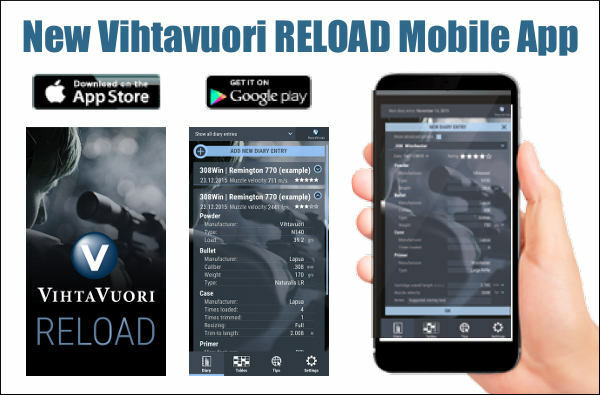 The Vihtavuori Reload App also provides instant access to the latest Vihtavuori Reloading Data as well as other Vihtavuori information. If you want hard copy of your load recipes, just email the recipe(s) to your personal e-mail account and then you can print out the info with a networked printer. For over 90 years, Vihtavuori has been known for producing high-quality propellants with reliable ballistic performance, long shelf-Life, and a wide selection of burn rates. Vihtavuori powders are manufactured to very high standards, and many world records have been set with Vihtavuori propellants. For more information, visit www.Vihtavuori.com. Share the post "New Vihtavouri Reload App for Mobile Devices"